The last time we heard, nobody hated eating a dessert. Everyone has their heart bound to a either a red velvet cheesecake, brownies, ice cream or closer home, a deep friend jalebi. But despite how beloved they are, these high-on-taste and high-on-calorie desserts don’t find a place in our everyday diets. Why? Simply, because they’re unhealthy. 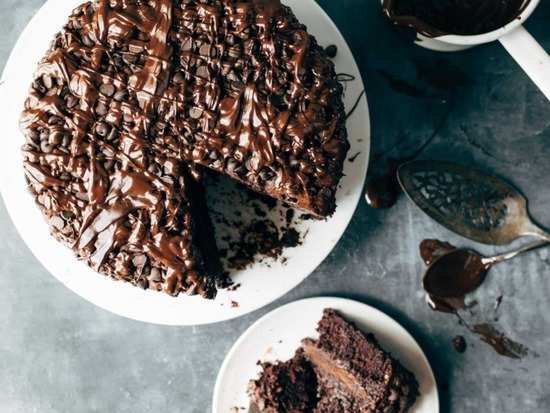 So, now we’ve established that high-calorie desserts are favourite amongst all of us, here’s a piece of news that will leave you jubilant, frantically jumping with joy! According to a new study, choosing these high-calorie options first might help you opt for a healthier meal later. Conducted in the cafeteria of the EGADE Business School at the Tecnológico de Monterrey in Monterrey, Mexico, the experiment studied 134 diners aged between 18 and 60 with an average age of 32. These diners were given a choice between a healthy and less healthy dessert (fresh fruit versus lemon cheesecake), and healthy and less healthy main and side dishes, that included grilled chicken fajitas and a small salad or fried fish and french fries. The findings, published by the American Psychological Association, showed that diners who chose the cheesecake first were twice as likely to order the lighter main dish later and ultimately consumed fewer calories than diners who chose the fresh fruit first. So turns out, it’s all in your head. If you truly want to stay healthy, you will the healthier choice, ultimately. 7Can fasting play a role in boosting metabolism? 9Did you know that just like Valentine's Day there's also a Galentine's Day?